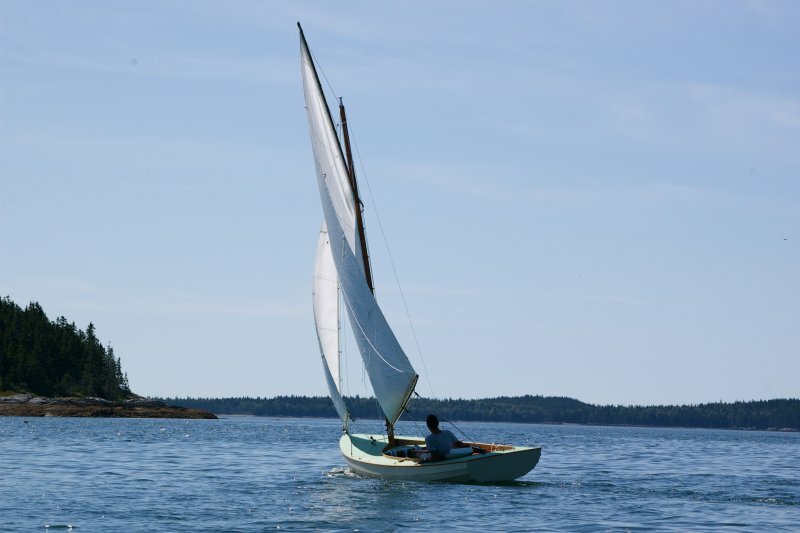 The boat is an Alden Indian rigged with it’s original gaff sail plan. 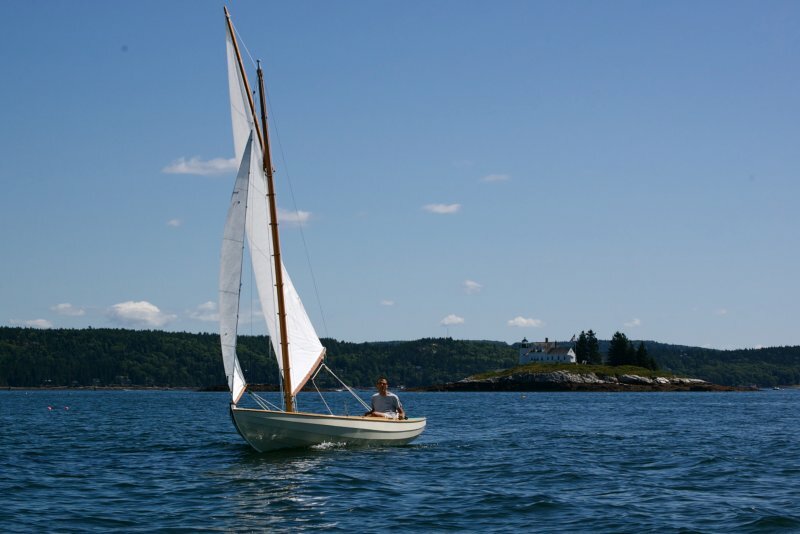 The plans are from WoodenBoat. I converted the build from traditional lapstrake to glued lap using 3/8″ Sapele rather than the specified 5/8″ pine. The name was originally going to be Eleanor Morgan, but every time I cast off from the mooring with my 24 year old daughter, she would sing WEEEEE! Seemed like the perfect name. WEEEEE! sails like a dream and is way better boat than expected. 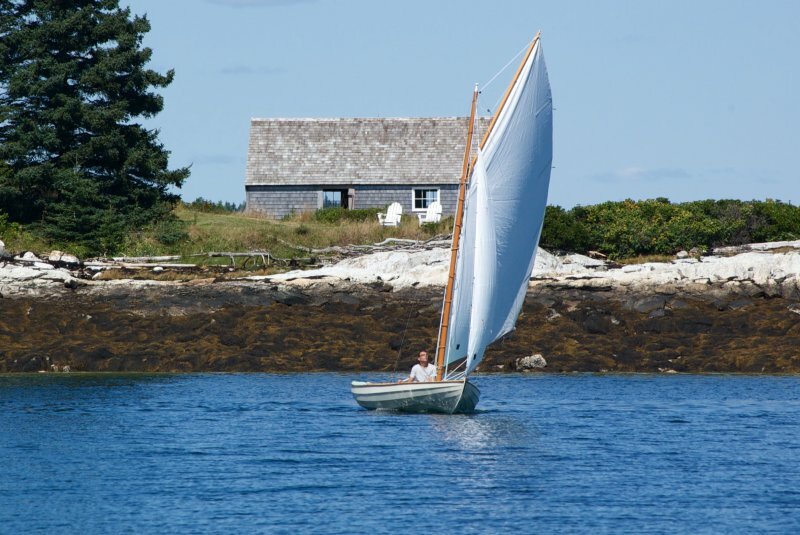 The build is documented at the Building/Repair section of the WoodenBoat Forum under Alden Indian Class. I received a tremendous amount of help from the forum.